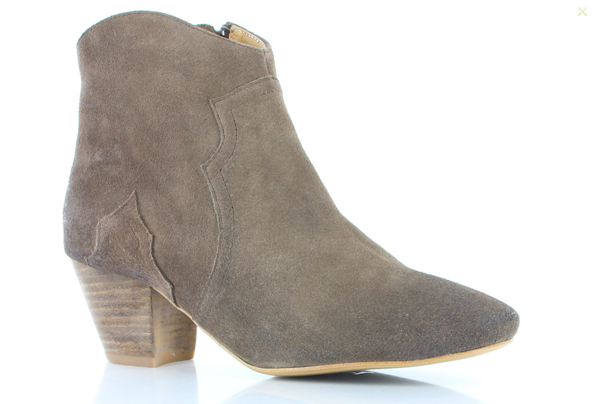 isabel marant dicker boots. they're literally everywhere and i have been dying for a pair since i saw kate bosworth rocking them in every way possible, but unfortunately they're a little out of my price range - especially with a trip to hawaii in the VERY near future (yay!) and therefore i had decided i'd put off purchasing them until after my holiday. since making that decision, the next biggest decision was which colour to get... do i go for black which i could definitely rock in winter, or do i go for a mushroom or khaki colour which might be a little more versatile for both seasons? well, thanks to tony bianco, i don't have to fret on that anymore. you see, the first photo is the isabel marant's. the second photo, is a beautiful little boot by tony bianco which is the most successful lookalike i've seen thus far, don't you think? i'm not the biggest advocate of copies, but sometimes a girl has to do what a girl has to do. and i'm still planning on buying the isabel's once i get back from my holiday. in black. woo hoo! you've gotta love the best of both worlds. 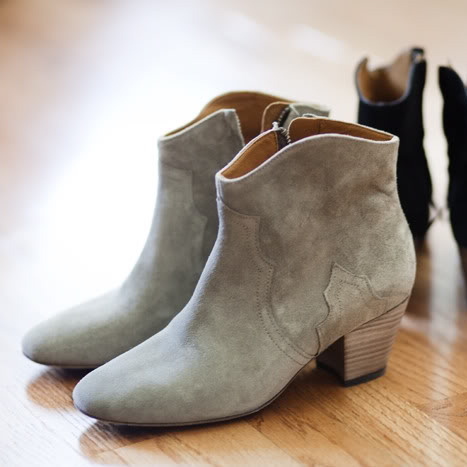 Just bought a brand new pair of booties as well! Black ance - Love them! They go with everything. These TB's will go with everything!